An indispensable resource both to Conrad specialists and to students of literary Modernism, this four-volume collection seeks to provide as complete as possible a view of the contemporary reception of the writer's works in the English-speaking world. 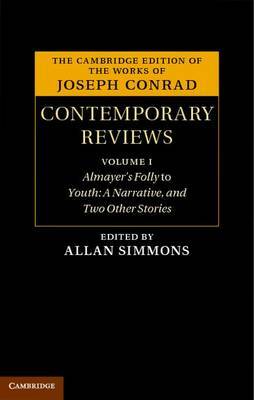 The reviews cover all of Conrad's writings from Almayer's Folly (1895) to the posthumously published Last Essays (1926). The volumes also take into their purview the collaborations with Ford Madox Ford. Found here are evaluations by journalists as well as by creative writers, the latter including H. G. Wells, Katherine Mansfield, Walter de la Mare and Virginia Woolf. The volumes offer insights into early twentieth-century reviewing practices, the marketing of 'literary' fiction and the wide interest in such writing, as reviews of Conrad's work regularly appeared in provincial and colonial newspapers.